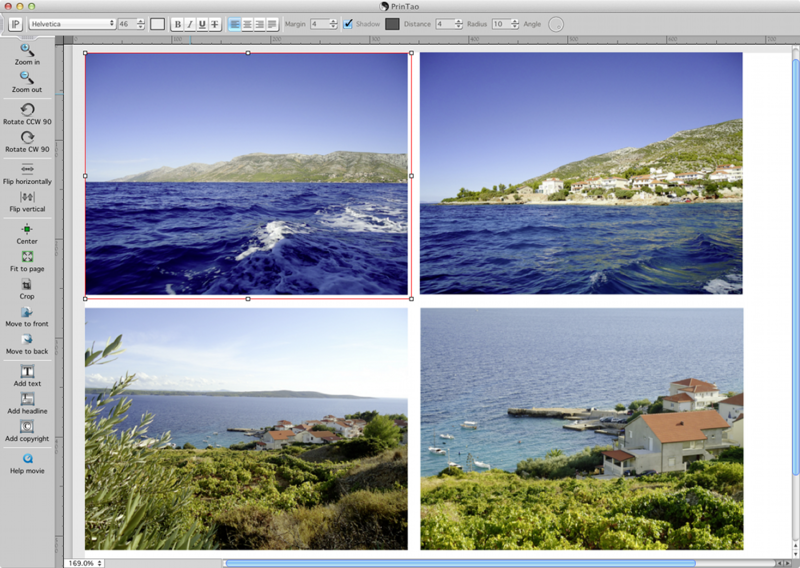 The PrinTao print dialog as a tool is included in all SilverFast scanner and HDR software versions. It is designed to straightforwardly arrange and print your images directly from your scanner or from the HDR image processing. If you want to print your images directly from your scanner or from the HDR image processing, the PrinTao printing functionality is the easiest way to get beautiful results. A click on the "PrinTao" icon in the vertical toolbar opens the PrinTao print dialog. Each scan frame that you have created before, you will find here. You can change the individual images according to your personal preference in size, orientation and position. 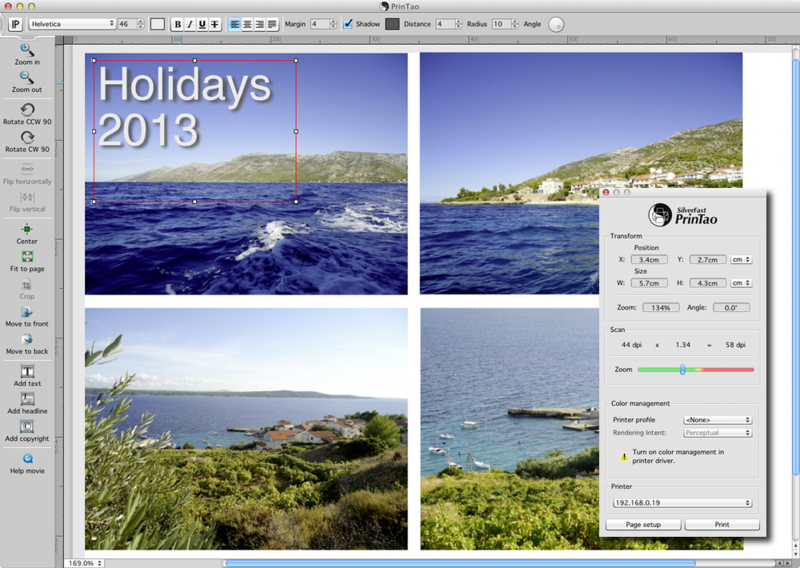 Using the efficient text tools, a variety of artwork labels can be added to the layout. The color slider in the second dialog window will indicate any insufficient resolution. In this dialog you will also set up color management and finally start the scanning (or HDR processing) and printing process of your images with a click on "Print".